Welcome back to the jungle. 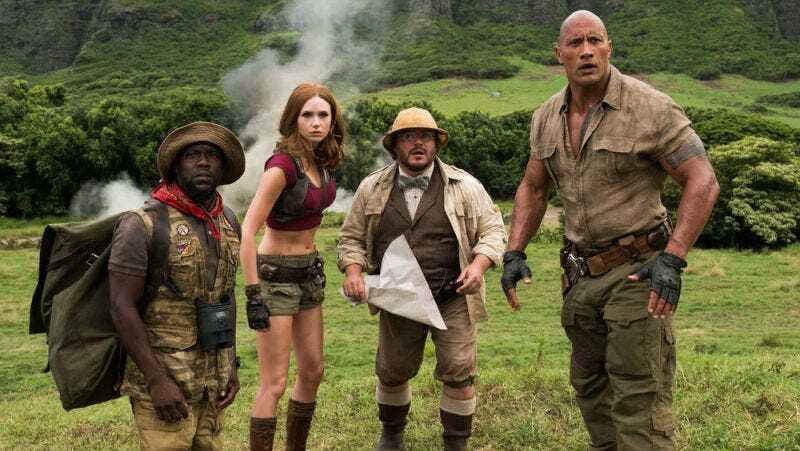 In an announcement that should surprise no one—considering the fact that Jumanji: Welcome to the Jungle is closing in on a billion dollars at the box office—there’s a sequel in the works to the comedy reboot starring Dwayne Johnson, Jack Black, Kevin Hart, and Karen Gillan. Deadline reports that all of the stars will return for the proposed sequel and that Sony is in talks with Scott Rosenberg and Jeff Pinkner, two of Welcome to the Jungle’s four co-writers, to pen the script. The duo last worked on the Spider-Man spin-off Venom, due out later this year. There’s no timeline, release date, or additional information on what the Jumanji sequel might involve, though Johnson and other cast members have speculated that it could explore the game’s backstory—maybe even introducing its mysterious creator. What did you think of Jumanji: Welcome to the Jungle? Are you looking forward to more with this cast? Hold Up, the New Jumanji Movie Is Actually... Good? How Did Robin Williams Discover &apos;Multiple Jumanji Worlds&apos;?